The judicial commission tasked with investigating the memo controversy on Wednesday issued notices to President Asif Ali Zardari, Army Chief Gen Ashfaq Parvez Kayani and PML-N President Mian Nawaz Sharif to appear in person to record their statements. President’s spokesperson Farhatullah Babar was not available to confirm the receipt of the notice, but a close aide said the president had received the notice. ISPR Director General General Athar Abbas did not respond to calls made on his cell to confirm whether the Army chief had received the notice or not. On the other hand, complying with the directions of judicial commission, the government officially approached Research In Motion (RIM), a Canadian Company, on Tuesday requesting a copy of BBM record of contacts between former ambassador Husain Haqqani and Mansoor Ijaz, two main characters of the memogate scandal. The commission, in its very first meeting held on 1st January in the premises of Islamabad High Court, issued notices to DG Inter-Services Intelligence Shuja Pasha, Mansoor Ijaz, Husain Haqqani, General James Jones and other main respondents in the case to appear before the judicial body on January 9. Sources say the PML-N president has received the notice and is expected to appear before the three-member commission on January 9. All respondents including the Army chief, the ISI Chief, the PML-N president and Husain Haqqani had submitted their statements in the Supreme Court last month. However, President Zardari has yet to file his statement. Chief of Army Staff (COAS) in his reply to the Supreme Court stated that the memo was a reality and a conspiracy was being hatched against the army and national security, a private TV reported. 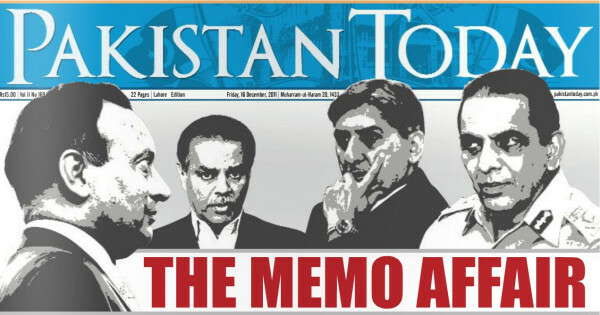 In the reply General Kayani writes that the Financial Times published Mansoor Ijaz’s story about the memo on October 10. 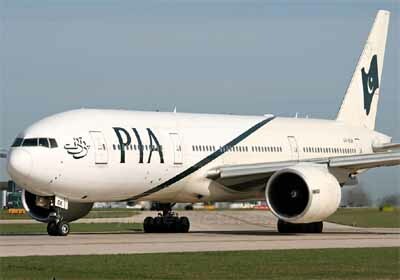 There is not a single day without any news about Pakistan International Airline, but not for any good reason rather all about its ailing financial health, poor performance, flights delay, emergency landings and etc. But there are some latest and stunning revelations that the ailing national flag carrier is being pushed to dead-end deliberately just to pave the way for a new private airline reportedly owned by a close relative of the President House’s inhabitant. Though the state-owned airline’s financial health was not good before the incumbent dispensation, but during the tenure of this government it moved from bad to worst despite the repeated and consistent calls from all the quarter for restructuring and overhauling of the airline to restore its past glory. General Kayani being Instigated to Takeover! It is an established fact that as long as the military ruled the country singly it produced excellent results. Seized by a desire to gain legitimacy and to become democratic, the moment it brought in discarded and disgruntled politicians and made them run the facade of democracy, things went haywire. Gen Ashfaq Pervez Kayani is under criticism for not taking action against the most corrupt and inefficient political government bent upon destroying the country. His critics have gone to the extent of saying that lollypop of 3-year extension has silenced him. It must not be forgotten that whenever the Army general stepped in, the overall situation was always chaotic and people were fed up of politicians. Opposition parties kept nudging GHQ to save the country from ruination. Each time a man on horseback took over the reins of power; he was hailed as a savior. Happy tidings of the military rule, however, never lasted for more than 2-3 years after which the tide got rough and once again people clamored for return of democracy. This see-saw is still going on but the Army seems to have learnt its lesson this time. It is an established fact that as long as the military ruled the country singly it produced excellent results. Seized by a desire to gain legitimacy and to become democratic, the moment it brought in discarded and disgruntled politicians and made them run the facade of democracy, things went haywire. The deadly military-civilian combine always ended up in tarnishing the reputation of Army and the death of military rule. All military rulers irrespective of their good performance left the scene as discredited rulers. Fate of democratic leaders was no less pathetic. This cycle has gone on since 1958 and so far military has ruled the country four times totaling about 33 years. Making a dispassionate comparison, even the worst critics of Army would grudgingly agree that Army rulers had at least kept things in order. They were surely superior in governance and management and had taken GDP to 7% as against 2-3% GDP and rampant chaos during civilian rules. It was wishfully hoped that after the fall of Gen Musharraf and takeover by the coalition government of PPP-PML-N tied to charter of democracy, the established practice of seeking a change for the sake of change would end. However, after seeing the true face of Zardari-Gilani led democratic regime, the people are once again vying for a change and are looking towards the Army since it is not within the capacity of another political party to bring a healthy a change. People who had celebrated the ouster of hated Gen Musharraf are now often heard saying that his rule was much better than the current democratic rule which is an insult to democracy. Notwithstanding their wish, Gen Kayani and his team of Generals also know that their infatuation towards the Army would be temporary. Within six months the dice would get loaded against he Army and all the ills placed at its doorsteps. This genuine apprehension is keeping Gen Kayani restrained. Apart from few disgruntled superceded officers, all ranks have full faith in leadership of Gen Kayani who has done a lot for the welfare of lower ranks and is devoting lot of attention towards development works in FATA and Balochistan to win their hearts and minds. He monitors the ongoing war on terror from the front and the credit for turning the tide in favor of Army goes to him. Not only he has kept the Army away from civil affairs, he has shown respect to the elected government and has shunned all surreptitious moves made by self-seeking groups to derail democracy since he wants the people and political forces to decide what is good for them and the country. Besides self-centered groups inside Pakistan desiring the Army to show door to the PPP government, outside powers are equally interested. It is now an established fact that US-UK combine brokered peace between Gen Musharraf and Benazir, got infamous NRO issued and paved the way for most corrupt, and thoroughly incompetent regime to rule the roost. The rulers are serving US agenda and are least pushed about Pakistan’s national interests and whether it survives or breaks up into quasi states as is again being drummed up by foreign media. The ruling class and their rich companions have amassed so much ill-gotten wealth that they can live lord’s life abroad. That is why they are least concerned about dismal politico-economic situation, America’s bellicosity and its dangerous designs against Pakistan, India’s military buildup and its efforts to dry up Pakistan by building over 62 dams on rivers doesn’t bother them. Notwithstanding their subservience to Washington’s diktats, it has become disconcerting for the US to find all-powerful President Zardari unable to fulfill its core objectives because of military’s obstruction. It is upsetting for USA to find that when its darling Musharraf was at the helm of affairs and was performing in accordance with its wishes, he didn’t have a strong political government to support him to meddle into sensitive issues. Now that a popularly elected government is in power, Gen Kayani is not prepared to play the game. It would have been ideal for USA if Gen Kayani and Lt Gen Pasha were on the same page. In utter confusion, the US assaults the government and Army in rotation and at times simultaneously. In desperation, Indo-US-Israeli nexus is now trying to create conditions for military takeover since with reins of power in the hands of Army it becomes that much easier for them to foment agitation and force the military to use force against protestors and thus prepare grounds to exploit human rights violations and subsequently justify war to dismember Pakistan. None will come to the rescue of Pakistan under military rule or shed tears on its dismemberment. Ongoing media war portraying the democratic government in poor light and egging on the military to step in is governed by this hidden motive. Given the deteriorating state of affairs of the country when everything is in shambles, takeover by the Army will certainly be welcomed but the euphoria will subside all too soon and Kayani will be scoffed at. It will give justification to the ousted regime to project itself as a victim. Same old music will be played that the Army never allows democracy to flourish and axes it when it starts maturing. All the sins of politicians will be forgotten and the entire blame put on the Army in accordance with the past practice. Kayani is neither ambitious nor he has shown any inclination to overstep his authority vested in him. Even when he is showing deference to the civil government and is carrying out the instructions of the president and chief executive dutifully, the Army is still criticized for being domineering. This perception has been built by the cynics in the backdrop of Kayani taking up a principled stand on certain matters and showing the grimmer side of the picture. He had prevailed upon PM Gilani to rescind his order of placing ISI under Ministry of Interior in August 2008 which if implemented would have been catastrophic. He had advised the top leadership not to send DGISI to New Delhi in the aftermath of 26/11 when India was in a highly belligerent mood. He had explained the gravity of the situation in the backdrop of cavalcade of long march in March 2009 which had reached Gujranwala and had advised the President that it will be in fitness of things if judges were restored and governor rule in Punjab terminated. His sane advice was heeded to and crisis averted. He did express his deep reservations over certain clauses of Kerry Lugar Bill (KLB) which impinged upon security of Pakistan. Basic purpose of KLB was to wash away misgivings and grievances of Pakistan against USA and to build trust and promote better understanding between two countries. It was to act as a harbinger for sustainable Pak-US relations. It backfired and bred more suspicion and resentment since it was widely perceived as an instrument with which USA planned to deprive us of our dignity and sovereignty. The bill was based on the presumption that Pakistan was guilty of terrorism, nuclear proliferation and that continuation of aid money would be dependent upon its performance. Pakistan was directed to stop nuclear proliferation and procurement of fissile material; cease support to terrorists and stop cross border terrorism and to allow drone attacks in Quetta. KLB sought direct access to all Pak nationals associated with nuclear proliferation or acquisition of nuclear materials for our nuclear program. Civil government was asked to exercise tight control over military budgets as well as on chain of command including promotions and appointments of senior officers. Expansion of US Embassy in Islamabad and facilitation of large number of CIA agents disguised as coordinators and project managers into Pakistan were dovetailed in KLB package. It is an open secret that our Ambassador in Washington Hussein Haqqani was instrumental in adding certain anti-Army clauses since he carried a grudge against the Army. He is widely seen more as a spokesman for US than of Pakistan. All PPP leaders were distressed when objections were raised and repeatedly said that there was nothing wrong in the bill. Genuine reservations expressed by Kayani were taken personally by President to Washington and as a result an explanatory note was attached with the bill. This attachment was an admittance that original document was harmful but was gladly accepted by Haqqani and former foreign minister Qureshi. Gen Kayani has been advising the government not to cede to the pressure of USA to launch a major operation in North Waziristan since the timings for opening another front was not in Army’s favor. It was owing to his stand since early 2010 that this operation has so far not been launched. The Army and ISI had no role in the release of Raymond Davis in March 2011, yet Lt Gen Pasha is wrongly blamed. His only role was to extract maximum amount from USA for the families of murdered persons and to impose restrictions on CIA activities. From that time onwards and particularly after Abbottabad incident, these two institutions have been tirelessly working to emasculate CIA network in Pakistan. Gratuitous Stoppage of $800 million close support fund was meant to break the resistance of Army. The Army once again showed its mettle by declaring that it will continue fighting war on terror without the US aid as it had been doing in the past. This kind of resistance put up by the Army against USA is unprecedented particularly when power is in the hands of most powerful civilian president duly remote controlled from Washington. Series of cockeyed allegations made against Gen Kayani and Lt Gen Pasha in particular and the institutions in general and media war by foreign and local media is the direct outcome of this resistance. While the Army and ISI have become eyesores for India, Israel and USA, ironically the US cannot make further headway in Afghanistan without their intimate support and hence cannot afford to get de-linked. While the officers and men of Army are shedding their blood to safeguard the motherland, the politicians having sold their souls are bartering away national interests. Karachi, Balochistan, Khyber Pakhtunkhwa and FATA are bleeding, but our rulers are more concerned about power play. They least care about our sovereignty getting bruised and Pakistan getting neo-colonized as long as Uncle Sam promises more aid and cash flows in. This contrast has been there right from inception of Pakistan. Soldiers perform their tasks with total dedication, devotion and patriotism and do not hesitate sacrificing their lives if the situation so demands, be it internal or external threat or manmade or natural catastrophes. Such a stance is not possible if moral fiber is weak. Honor, integrity, esprit de corps, values and discipline rank high in their personal lives. These traits are drilled into their minds in PMA and regimental centers and later on further honed in regiments and training institutions. Inbuilt accountability system takes care of all cases of indiscipline, sidelining all those who show lack of morals, camaraderie, professionalism, valor and leadership qualities. Only the best rise to higher ranks. In contrast, the politicians enter corridors of power without any grooming from an academy. Family background and wealth becomes the basis for their election. They work with fervor only when their self interest is at stake, otherwise they adopt a lackadaisical posture and are least interested in national interests. Whatever patriotic slogans they raise are meant to befool the gullible public. They loot rather than protect national kitty. Morality, values and principles are of no consequence to them. They believe in the principle of making hay as long as the sun shines. Let the people judge the worth of politicians themselves and throw them out rather than the Army performing this act and getting blamed. Those who are instigating and provoking Kayani to takeover are not his well-wishers. Notwithstanding that the higher judiciary and Khakis stand on high moral ground in obtaining contaminated environment where evil is promoted and virtue undermined, the only crib the people have against the two institutions is that they are not asserting their authority to put fear of God in the hearts of immoral rulers, making them set things right and pressuring them to agree to bring back ill-gotten wealth stashed in Swiss banks. Huge heaps of Pakistani wealth deposited abroad if invested in own banks can address all our problems of dependence, joblessness, poverty, extremism, ethnicity and sectarianism and make Pakistan healthy and wealthy. Prosperity will automatically reduce radicalism in the society and will promote peace and harmony. If the judiciary and Army fail to take stock of the fast dwindling situation and assert moral pressure on the government to mend its ways, they will be held equally responsible if Pakistan becomes a failed state and collapses from within because of incompetence, poor governance and widespread corruption. In the post 9/11 scenario the military establishment, which was blindly pushed by then dictator General Musharraf into America’s controversial war on terror, is now compelled to seriously rethink what Pakistan has achieved to secure America by sacrificing the lives of around 32,000 Pakistanis, including its soldiers and members of law enforcing agencies, and incurruing huge financial losses. Amid mounting demands from political parties, intelligentsia, media, retired civilian and military bureaucrats etc. for an immediate review of Pak-US relations in the context of growing incidents of serious breach of the country’s sovereignty by the US, the military establishment is under pressure to rethink its strategy. Ironically it is for the political leadership to review the whole situation, hold a series of meetings with all the stakeholders, talk to politicians; however, the present political leadership of the country is totally oblivious of its responsibilities. After the May 2 debacle, it was left entirely to the military establishment to face the brunt, whether internal or external. Already media reports quoting some top military commanders’ background briefing suggest that during the last three years the president and prime minister did not discuss the war on terror issue with the military top command for the last three years. Such is the situation that even the Foreign Office is more dependent on the military establishment than the Presidency and the Prime Minister’s office since the government seems to have conveniently left key foreign policy and internal security issues for the GHQ and the ISI to handle. It is said that President Zardari and Prime Minister Gilani are cleverly in their view allowing the Pak Army to face both internal condemnation and American grilling and thus get weakened. Both the top leaders have played safe. On the external front both of them shared their excitement with Americans ignoring the serious breach of Pakistan’s sovereignty whereas internally they ignored holding a high-level inquiry to fix responsibility for the serious intelligence and defence failures. After the lapse of almost a week, the president and the prime minister on Saturday held some photo sessions for the media but without any concrete or encouraging outcome. This being a tragic situation within Pakistan, internationally there is absolutely no one to plead the case for Pakistan when even one of our key ambassadors, closely associated with President Zardari, implicated the army and the ISI in this dirty business by asking as to who had issued the visa to Osama to come to Pakistan. His target was the ISI of the 80s but as soon as he launched the attack, thinking of its repercussions, his own blood pressure soared so high that he fainted and had to be rushed to a hospital. Sources close to the Pakistani embassy in Washington, however, dispelled this impression and said that the ambassador was working day and night as there was pressure of the US government and media. The ambassador, they said, had to give response to all the questions being raised by the US government and media. They said due to the pressure of work the ambassador was unwell. Presently, the Army, which itself is on defensive because of its own serious failings, is entirely relying on ISPR press releases or the Foreign Office as the government has not yet shown much keenness to defend Pakistani position properly. Pakistan, it is said, despite its May 2 failings, has a strong case to put the Americans on defensive but there is no one doing this job despite the following strong facts: 9/11 attacks on US targets were not planned from Pakistan or by anyone from Pakistan; neither the 9/11 Commission Report nor the US government found either Pakistan or any of its institution or individual in any way involved or having any prior knowledge of 9/11 attacks; till September 9, 2001, Pakistani nation, Pakistani government officials and the Pakistan Army were not facing attacks or suicide bombings from al-Qaeda or any of its affiliate terrorists group; till September 9, 2001, all al-Qaeda or Taliban leaders including Mulla Omar and Osama Bin Laden, were in Afghanistan, not in Pakistan; in deciding (unilateral decision of Musharraf) to support America in going after people who were allegedly behind 9/11, General Musharraf went against the sentiments of the whole Pakistani nation that, having suffered so much because of Pakistan’s collaboration with the USA against Soviet occupation of Afghanistan, wanted Pakistan to stay out of this new problem; Pakistan had no role in helping Mulla Omar and other al-Qaeda and Taliban leaders to escape after the US invasion on Afghanistan instead about Osama’s escape from Tora Bora, CIA is itself is on record that it was because of error on the part of American government; as a result of US attack on Afghanistan, al-Qaeda and Taliban leadership shifted into Pakistan through its historically porous western mountainous borders, and into the seven agencies that have never been under the direct control of the Pakistan government; it was thus that because of US government’s extreme pressure and requests that the Pakistan Army, against the sentiments of the whole Pakistani nation, started conducting attacks against al-Qaeda and Taliban set-ups within Pakistan’s western border areas, thus inviting the whole war into Pakistan; the result was that during the following 10 years, the Pakistan Army attacked the Taliban and al-Qaeda set-ups within Pakistan, killing thousands of Taliban and al-Qaeda members; these were Pakistan’s agencies, particularly the ISI, which for the want of American government tracked down, captured and handed over to US authorities the following top leaders of al-Qaeda including the Saudi-born Palestinian Abu Zubaida, Abu Faraj al-Libbi, Khalid Sheikh Mohammad and others though none of them were wanted in Pakistan or had committed any crime here; regarding London bombings, too, the initiative and quality of intelligence from Pakistani agencies, played a vital role in averting the disaster etc. But in return for all this and much more what price did the Pakistani government, Pakistan Army and Pakistani people paid for helping Americans in catching America’s enemies, a war that had no concern with Pakistan? From 9/11 till to-date, terrorists killed Pakistanis more than ten times the number of Americans who were killed on 9/11. So faulty has been the US-influenced policy of Pakistan regarding war on terror that the Pakistan Army’s decision to go after America’s enemies and thus make America a safer place, Pakistan’s defence personal and installations, security forces, police and the country’s streets, bazaars, shrines and mosques became target of terrorists. Since 9/11, there has not been a single attempt on US president’s life or the life of any prime minister or leader of any country that is US partner in its war on terror. Compare this to the situation in Pakistan, the former dictator and the man responsible for all these ills – President General Musharraf – himself twice narrowly escaped serious attempts on his life, his Prime Minister Shaukat Aziz barely escaped death attempt, former Prime Minister Benazir Bhutto escaped death attempt in Karachi but she was assassinated later in Rawalpindi. Senior Army officials including Surgeon General of Pakistan Lt Gen Mushtaq Beg was killed. The GHQ itself was attacked in broad day light, with several casualties whereas a series of attacks were carried out on ISI personnel and major buildings. While Pakistan is grilled for the serious lapse of Osama’s presence in Abbottabad, many may not recall that the CIA could not get a hint of 9/11 attacks, which were planned and prepared for years in advance. Pakistani people were already angry because they feel that ten years of being allies of US has given them nothing except bombs and dead bodies but now this is for the military establishment to have a serious second look at the cost that it has already paid for pursuing an American war in this most dangerous part of the world. While America came under attack on 9/11/2001, Pakistan is under attack on a daily basis. Interior Minister Rehman Malik claims Pakistani F-16s can’t take down rogue CIA drones. He is wrong. PAF can take down CIA drones, but awaits an order from President Zardari and Prime Minister Gilani. Such irresponsible and factually absurd statements do any good except to demoralize the nation further. This is not something new coming out of the Minister’s mouth, as he is well known in Pakistani media as someone who speaks more than he should. Chief of the Air Staff, Air Chief Marshal Tanvir Mahmood Ahmed said on Tuesday that Pakistan Air Force (PAF) is fully capable to stop drones’ flights and missile strikes. He said that it was up to the government to decide whether it wanted to benefit from PAF capabilities and deter the aggressors violating territorial integrity of the country. Air Chief Marshal made these remarks while speaking to newsmen during IDEAS-2008 exhibition at the Expo Center here. Tanvir Mahmood Ahmed said that most of the fighter jets of PAF would complete their life span over the next few years after which JF-17 fighter jets (co-developed by China) would be phased in to replace the aging fleet. “The fighter jets of Pakistan Air Force are fully capable to carry all types of warheads”, Air Chief added. Pakistan has said that it is capable of shooting down US Predator aircrafts operating inside its geographical territory, but fears that such a step could ignite a war between both the countries. Talking to media persons on the sidelines of the passing out parade at the Risalpur Air Force Academy, Pakistan Chief of the Air Staff Air Chief Marshal Rao Qamar Suleman said PAF is capable of shooting down US drones, but the final decision in this regard rests with the government and Parliament. > The service ceiling (maximum density altitude) of an MQ-1 Predator drone is 25,000 ft (7,620m). > The service ceiling of an MQ-1 Reaper drone is 50,000 ft (15,000m). Even a layman can easily conclude from these technical and factual comparisons that it is very much within the capabilities of an F16 fighter jet to shoot down drones whose maximum flight altitudes are still 10,000+ ft lower than a standard F-16 fighter plane. If the Government of Pakistan permits, shooting down illegal drones is a matter of a few minutes. The revelations of America’s secret war in Pakistan will deeply embarrass President Asif Ali Zardari who has long denied such deep cooperation with Washington for fear it would embolden [popular] opposition to his feeble government. A second cable describes a 2008 meeting with Syed Yousaf Raza Gilani, Pakistani prime minister, in which he brushes aside concerns about the use of Predator drones against targets in the tribal areas and gives an insight into how he would deny any cooperation. “I don’t care if they do it as long as they get the right people. We’ll protest in the National Assembly and then ignore it,” he told then US ambassador Anne W. Patterson. Imagine this: despite one of the world’s top five standing armies and nuclear arsenals, an important strategic location, 170 million in human resource, and great economic potential, and yet Pakistan’s elected democratic rulers are fighting a pitched battle with a media organization. Just a media organization. This is what President Asif Ali Zardari, the commander-in-chief, is doing in his protracted, proxy battle with the Jang Group, Pakistan’s largest media conglomerate. How pathetic that a President of such a big country feels threatened by a media group run by a few journalists. Media management is an art that has eluded Pakistan’s political and military rulers. They just don’t get it. So Mr. Zardari’s aides hound the media group in multiple ways: blocking federal government advertisements, ordering the state-run media to produce counter-programs to the popular political talk shows on Jang’s television network, and try to scuttle Jang’s exclusive rights to broadcast sporting events. The latest move by President Zardari’s government is to shut down Geo Super’s broadcast rights in Pakistan, leaving this subsidiary of Jang’s Geo Network with the expensive option of beaming its programming from a location outside Pakistan. None of the successive Pakistani governments, including the five governments of President Zardari’s US-backed PPPP, paid any attention to developing a healthy sports culture in the country. The entire Pakistani political and media cultures are structured to provide maximum coverage to boring, divisive and destructive politics. There are no government-maintained sports facilities for the general public anywhere across the length and breadth of this 170-million-plus nation. Those that exist are few, privately-owned, and exclusive. In fact, you won’t believe it if I tell you that a tennis court next to a commercial market in the F-6 sector of Islamabad is probably the only public tennis facility of its kind anywhere not just in the federal Pakistani capital but also in any one of the five provincial/state capitals. In other words, if any businessman were to launch a 24/7 sports channel in Pakistan, it would be a losing proposition. You can’t make money from sports in a country that has no sports on the ground. A few dying national sports teams in squash, football, hockey, cricket and others don’t count. So Jang’s sports channel was a money drain. And now that’s gone too. One, to watch the recycled faces of Pakistani politicians as they grace dozens of talk shows every night regaling the nation with their absurdities and bad manners, barring of course a distinguished few. And two, to watch self-styled religious channels where very few truly respectable individuals exist, with proper religious education from renowned Islamic schools. The rest offer multicolored turbans and opinions. I have talked to respectable Egyptian and Saudi men of religion and they are embarrassed by what we in Pakistan have to contribute to religion. No wonder ours is a fatalistic nation, where doom and gloom abounds and most people have nothing to do after a day’s work except watching political TV. My advice to Jang Group is simple: hit back. Don’t take the closure of your sports channel lying down. Jang, with its influential talk shows and newspapers, has a unique ability to influence Pakistani public opinion. What it should do is to DOWNGRADE all politicians affiliated with the ruling coalition and its partners. All of them. Yes. Downgrade them. How? Simple. It should stop making them heroes by rotating them on its different talk shows every night, giving them free publicity and valuable airtime. It should do what one of its hosts, Saleem Safi, has admirably done: minimize the appearance of politicians on his show unless relevant to the story of the day and substitute them with other more intelligent Pakistanis. So good for you, Mr. President. Don’t let us interrupt you. Please continue your battle against the media group. We have already wasted the first decade of the 21st century. We have nine to go and we’ll manage that with this kind of ruling elite. Premier Gilani will be left with the support of only 160 members — 12 less than the required number to maintain his position as leader of the National Assembly in the 342-member lower house. The PPP has only 125 seats of its own in a house of 342. The MQMs decision to sit on the opposition benches in parliament, leaves PM Yousuf Raza Gilani as Leader of the House without a majority. JUI-F chief Maulana Fazlur Rehman has asked President Asif Zardari to replace Mr Gilani with another PPP leader. The Leader of Opposition in the National Assembly and PML-N Chaudhry Nisar has declared that his party would not support PPPs ‘corrupt’ set-up. Mr. Zardari is camped out in Karachi hopeful that the MQM would come back to the coalition. The PML-Q, with over 50 seats in the Lower House, can help the government stay afloat even if all other allies of the PPP leave the treasury benches and decide to sit in the opposition. The MQM sees itself as a King Maker. Today they can surely exact the price from the PPP. The PPP led coalition government is now hanging by a thin thread. The PPP did not acquiesce to the demands of the MQM for the removal of the Sindh Home Minister Dr Zulfiqar Mirza and the Urban Sindhis wanted the interior ministry of Sindh. Mr. Zardari camped out in Karachi was unable to give in to the demands of the MQM. The MQM’s Damocles sword is hanging over the government of Mr. Gilani. The MQM’s decision puts moral pressure upon the Prime Minister to seek a vote of confidence. At present the Premier has no justification continue as the Prime Minister. The government’s missteps have created a crisis for Mr. Zardari and the PPP. The coalition government finds itself in a precarious situation. As a minority government it can last on the goodwill of the opposition. Henceforth Mr Gilani will not be able to weather the storm of a No-Confidence motion. In fact as of Monday the opposition will have votes than the government in power.